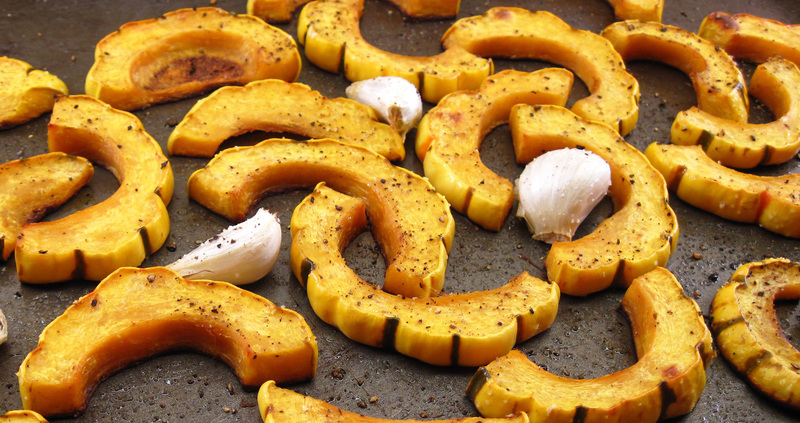 Roasted Delicata Squash is a great side dish for two people. 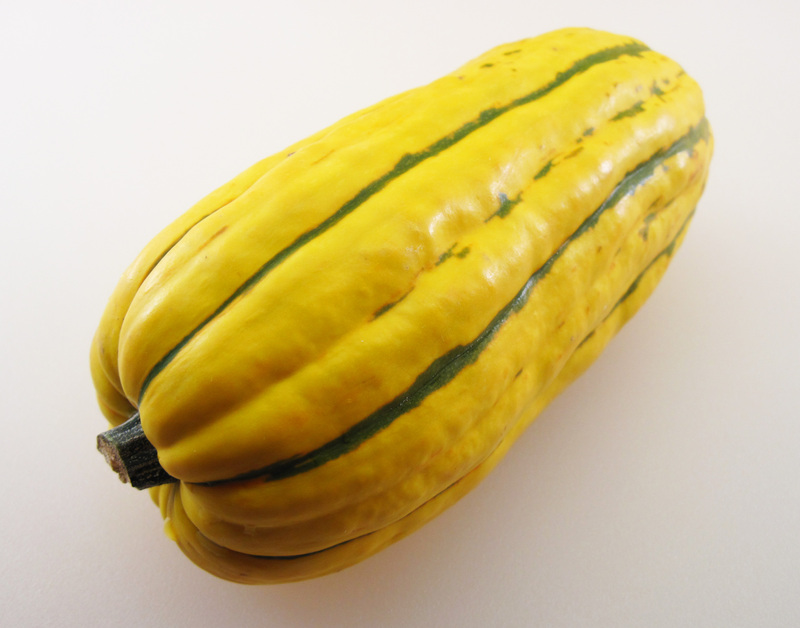 It’s quick to prepare because it’s not necessary to peel the squash. And the peel is edible! I was inspired by a recipe on whiteonricecouple.com. 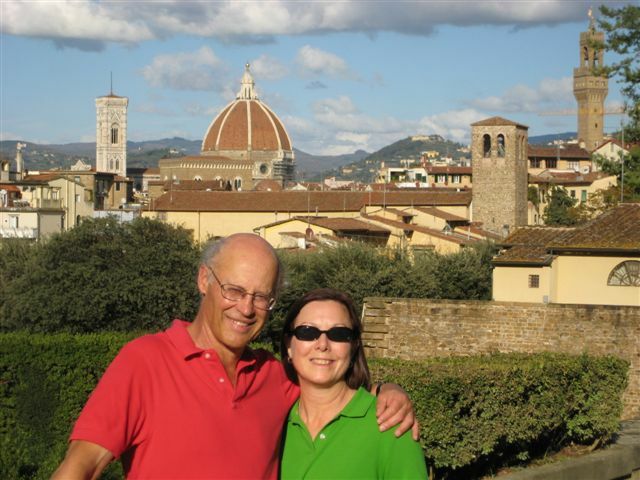 Todd and Diane seasoned their squash with a tablespoon of chopped rosemary instead of garlic. I like the idea of using rosemary, but it was dark and raining when I started dinner and I didn’t feel like trekking into the backyard to our rosemary bush. Maybe I’ll try it that way next time. 3. 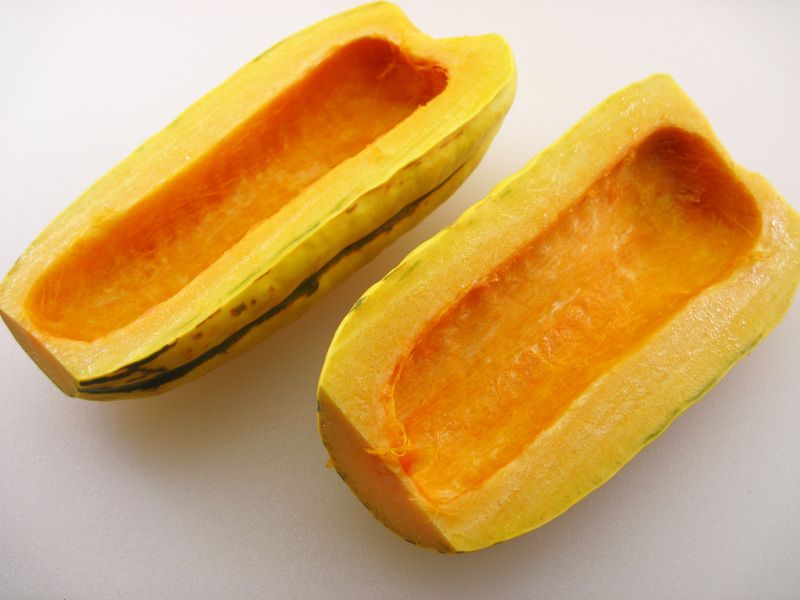 Slice the squash halves into ½-inch slices. 4. 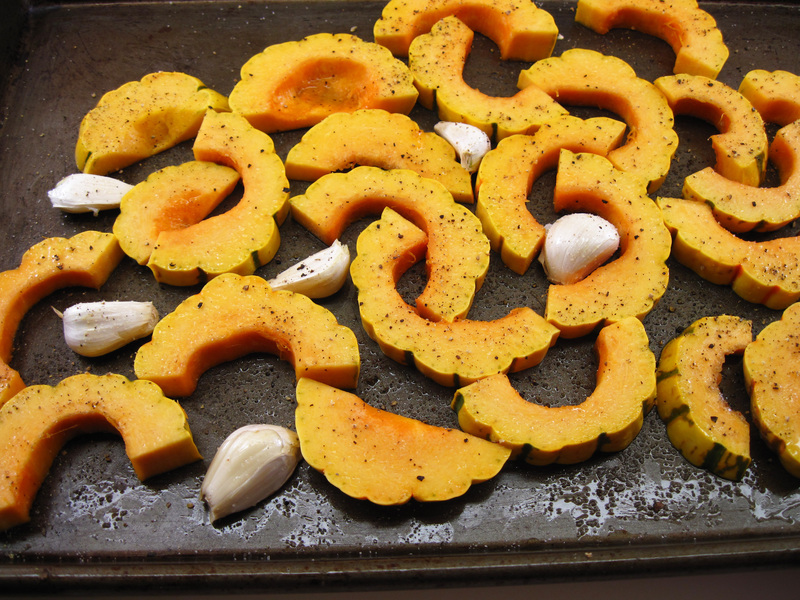 Put the squash and garlic cloves on a rimmed baking sheet. Drizzle with the olive oil and toss to distribute the oil. Sprinkle with salt and pepper. 5. Roast for about 30 minutes, until tender. 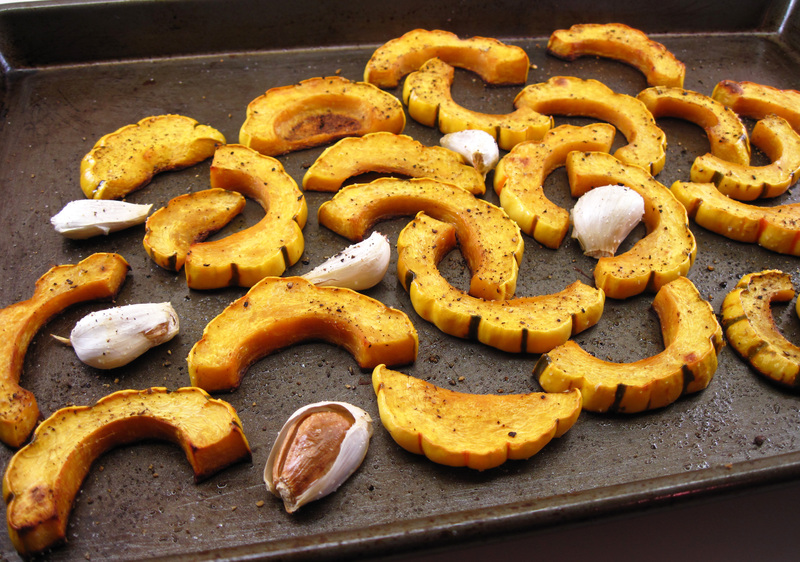 Squeeze the garlic cloves out of their skins and serve with the squash.